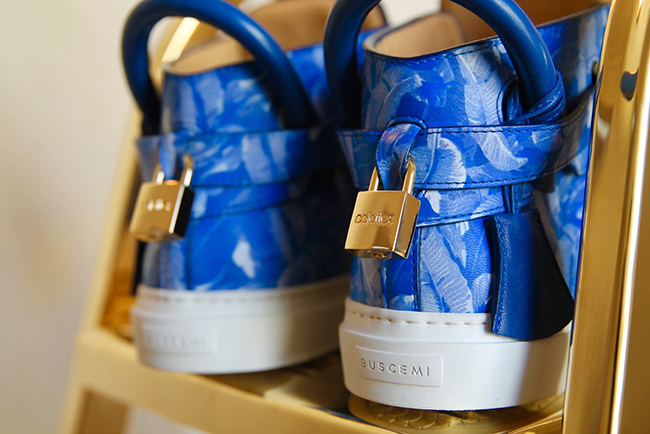 LA-based luxury crafted accessories brand Buscemi has launched for Spring/Summer 2016, a limited-edition 100 MM unisex staple silhouette with well-known global fashion retailer colette. 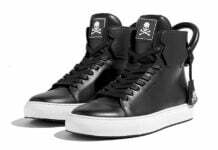 Designer Jon Buscemi worked closely with colette founder Sarah Andelamn to create 24 limited-edition sustainable printed leather sneakers, marked with the brand’s traditional craftsmanship and artistry techniques, highlighting the signature gold padlocks, all while exhibiting their joint dedication to the culture-driven and street expressive customers and collectors. “We love Beverly Hills Hotel. We love palms. 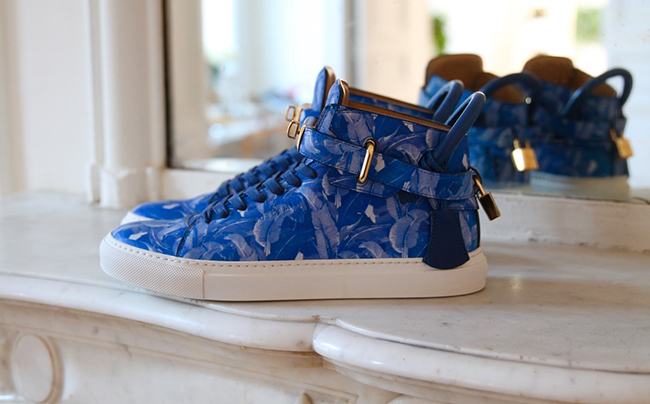 We love blue and we love love the 100MM”, stated Creative Director, Sarah Andelman. 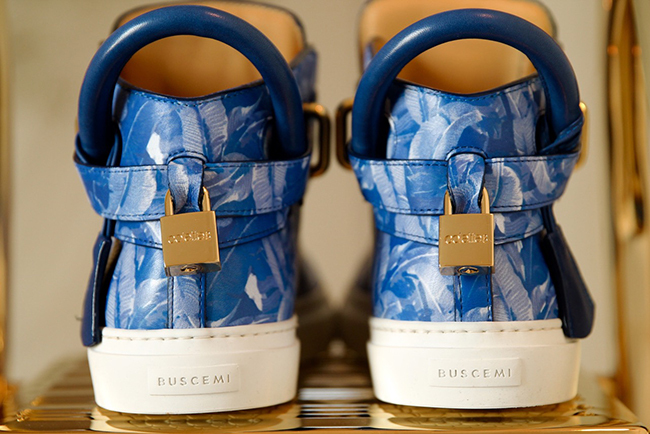 The colette x Buscemi 100MM limited-edition blue Martinique palm pattern is now available at colette Paris and colette.fr for a retail price of $1190 USD.